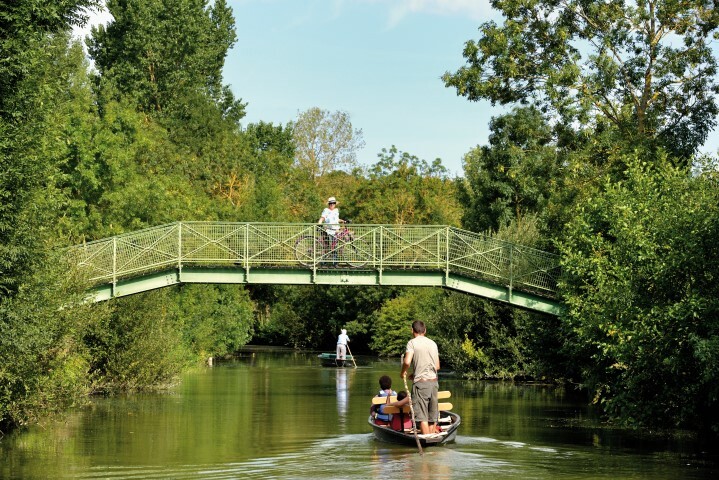 A ‘Grand Site de France’, the Marais Poitevin – a natural, environmentally rich regional park – is often referred to by two affectionate nicknames – the land of water or the Green Venice. Around 850,000 visitors a year make a beeline for these wet marshes as it is close to the tourist centres of both La Rochelle and the Ile de Ré and offers many activities – riding, cycling, boating and hiking among them. Roughly split into three sections – the wet marshes (a cathedral of green criss-crossed by aisles of water), the dry marshes (more open countryside) and The Bay of Aiguillon (the Atlantic port in the kingdom of mussels). Flat bottomed boats known locally as a “plate” has long been the only way to move both goods and people around the area in this, the second most humid zone in France after the Camargue. The locals used these boats on a daily basis to transport grass, cows – anything and everything. It’s also, of course, the best way to explore the region in the company of a boatman who can explain the scenery, the history, the customs and so forth. 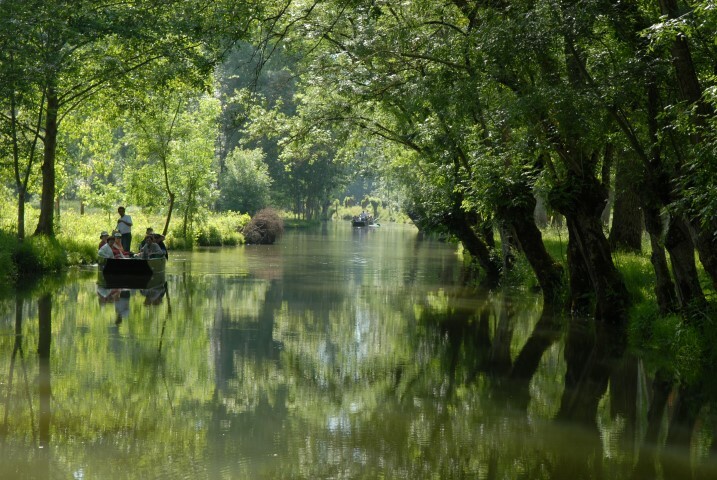 The 320 km of navigable waterways can be explored by boat or canoe/kayak and reassuringly, all the hire companies adhere to a quality charter that covers the industry in the Sèvre Niortaise area. There are also 850 km of signposted and secured footpaths in the Marais Poitevin, 300 km of which are in the wet marshes. This is a great way to discover the flora and fauna, the history and the villages. Some boatmen will also demonstrate a unique occurrence – fire on the water. The result of the decomposition of the vegetation at the bottom of the waterways produces methane gas which is of course flammable and quite astounding to see at close quarters. In the twelfth century the monks who lived locally based in the influential and powerful Abbey of Maillezais began to construct the first canals and locks so that they could successfully raise their cattle and crops on this very rich land, giving the landscape the first look of what we see today. The Hundred Years War and the wars of religion interrupted the work, but it was vigorously restarted under the reign of Henry IV. The great and good of the court soon realised what profits could be made from agriculture in the area and quickly dried out as much as possible to raise cereal crops above all, ahead of cattle and fishing. Work carried on well into the nineteenth century in this fashion until Napoleon launched a massive construction campaign in 1808 focussing along the Sèvre between Marans and Niort, giving the wet marshes the appearance they still have today. Locks and dams were added then so that the water level could be maintained all year round and the additional planting of ashes and poplars to stabilise the banks means the appearance of Green Venice then and now has hardly changed at all. 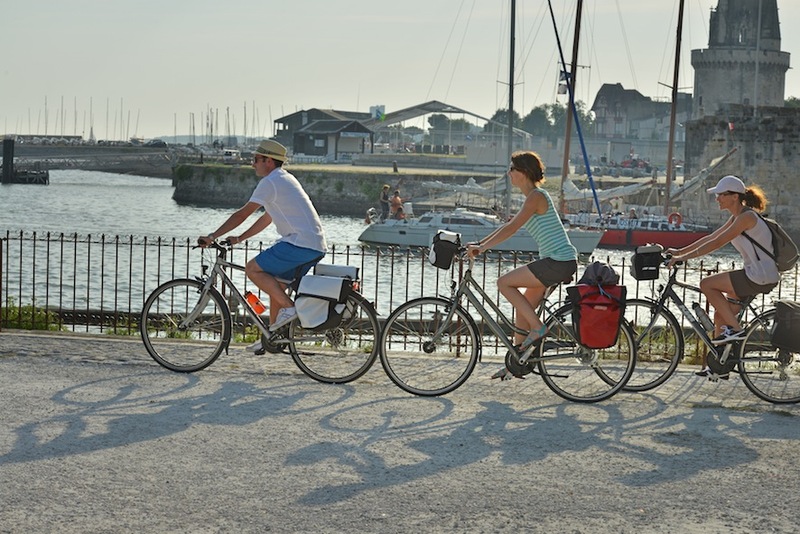 2015 saw the launch of a new cycle route called La Vélo Francette® taking cyclists on a north to south itinerary from Ouistreham in Normandy to the Atlantic Coast in Poitou-Charentes. This is alternatively known as Vélo Route V43 and is the connection between La Loire à vélo® and La Vélodyssée®. Effectively, La Francette links three regions – Normandy, Pays de la Loire & Poitou-Charentes – and seven ‘départements’ – Calvados, Orne, Mayenne, Maine-et-Loire, Deux-Sèvres, Charente-Maritime and the Vendée. 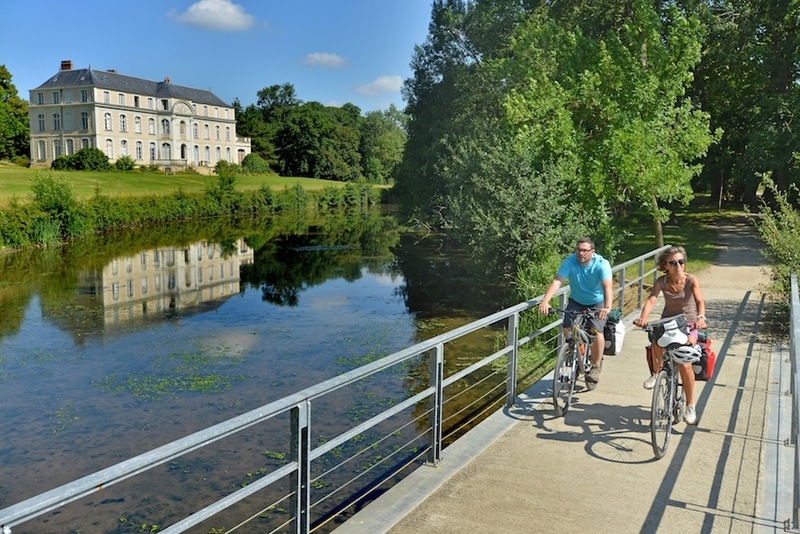 It also crosses three Regional Natural Parks – Normandie-Maine, Loire-Anjou-Touraine and 300 kms through the Marais Poitevin after the beautiful route of Vallée du Thouet (120 kms) which is famed for its Romanesque heritage. 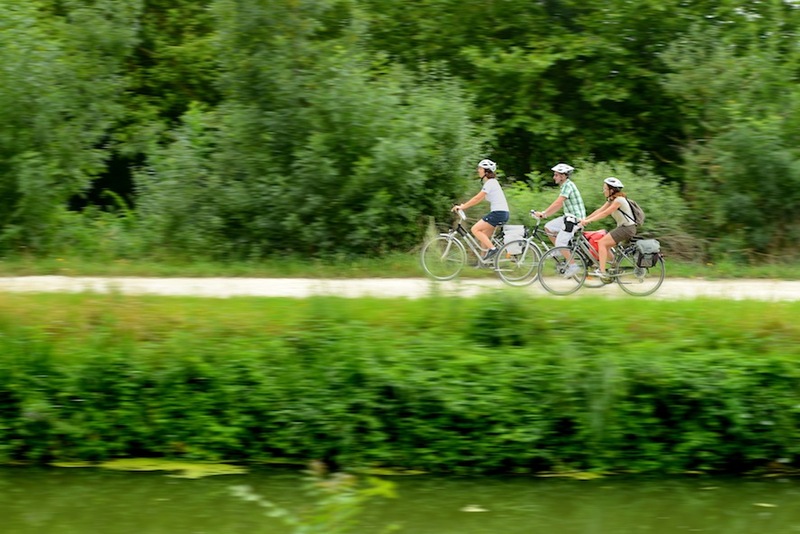 La Vélo Francette® is a real road-movie of a route through a France that is unpretentious with many ‘retro-pédalages’ – Made in France, nature spots, culture, childhood pleasures…. There are six such highlights along the route with two in the Marais Poitevin. They switch between towpaths and little routes of the Niort area all the way to La Rochelle with plenty of idyllic places to stop. 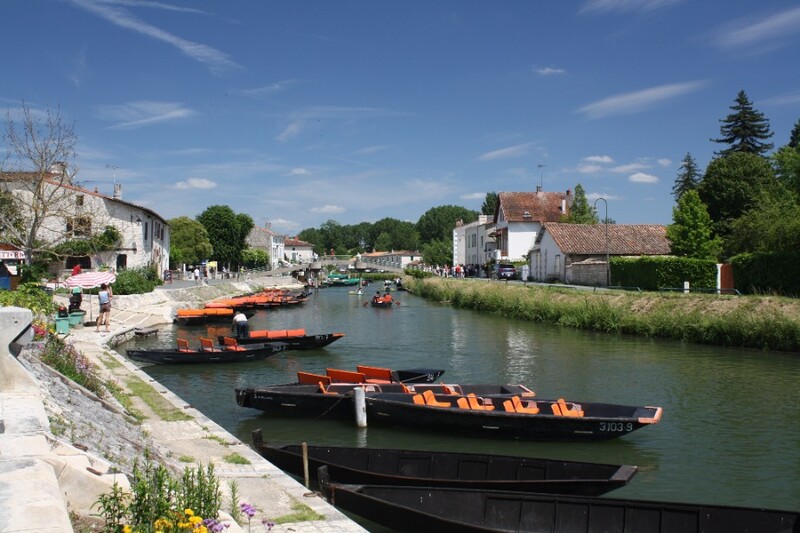 Visitors can board a boat in Coulon to explore the labyrinth of canals, admire the charming village of Damvix or Marans or follow the Marans and Rompsay canals to La Rochelle and the Atlantic Ocean. The Maison du Marais Poitevin in Coulon and the Maison de la Baie du Marais Poitevin in Esnandes to learn everything about the area. Wooden cranes in the port of Arçais harking back to the days when the timber industry was of importance. Esnandes with its fortified church, Roman bridge and mussel culture. Proprietor and head chef Jean-Paul Guernanten orchestrates a wonderful kitchen that is a reference point for all dishes ‘Marais’. With three ‘cocottes’ by Logis, this is a restaurant not to be missed. 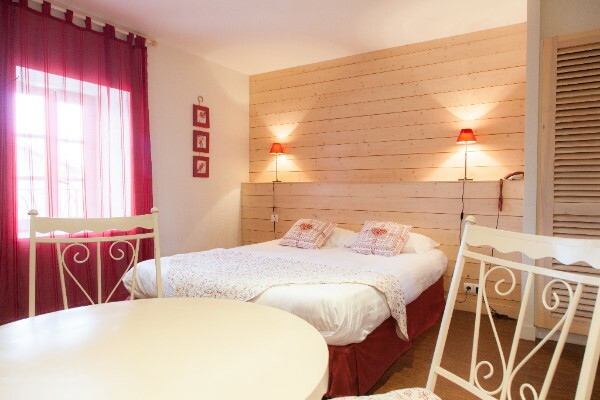 The Moulin d’Esnandes – a chambre d’hote in a thirteenth century mill with two gites in the garden. Just 10km from La Rochelle. Maison Flore in Arçais – a family run hotel of ten rooms. This festival combines music from local amateurs playing for around seven hours with a celebration of the mussel and of French fries! Organised in assocation with the Francofolies – one of the most famous concerts in France, it takes place at the same time as the Marais Challenge which involves three disciplines – running, canoeing and mountain bike racing. 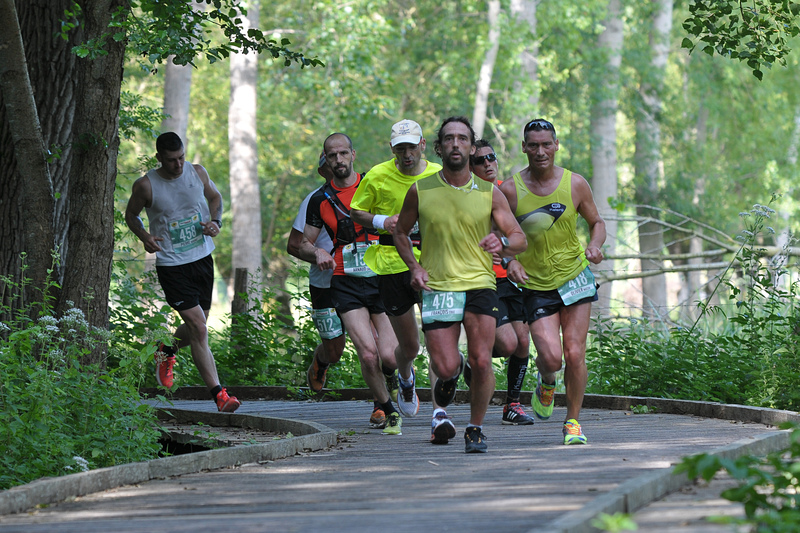 The Maraisthon is a first in France – a sporting event that is entirely based around sustainable development and ecology and has ten ethical points at its heart. All communication and signage is eco-responsible, runners are asked to use recyclable or biodegradable materials and there is a serious cleaning up campaign to limit the effects on the environment. Participants can choose from the full marathon, the ten kilometre walk or the 11 or 16 kilometre guided walk. Even the prizes are natural so no medals are presented. Instead, nougat medals, angelica cuttings and boat trips are the prizes. All partners and suppliers are chosen for their ecological credentials. There are plenty of events taking place around the Maraisthon – from jogging mornings with bio-breakfast, to nature guided tours and an exhibition about the relationship between CO2 and water, not to mention a bio market. The Canoe-Kayak Club of Niort organises an annual nocturnal party on the last weekend of June to which over a thousand participants or more are attracted every year. This is the biggest event of its kind in France and is officially recognised by the French Canoe and Kayak Federation.It is not viewed as a competition but a big party where teams win prizes – best dressed, best humoured, most fun etc. Each team comprises three canoes and four kayaks and are normally made up of best friends. For two days,over 280 artists gather in Magné and paint! Their masterpieces are then submitted to a committee who select winners in the Pastel, Young Artist and Mixed Techniques categories. Over 10,000 visitors attend the annual competition.There is a dinner on the Saturday evening and the Salt Pin-ups will play on Sunday afternoon. 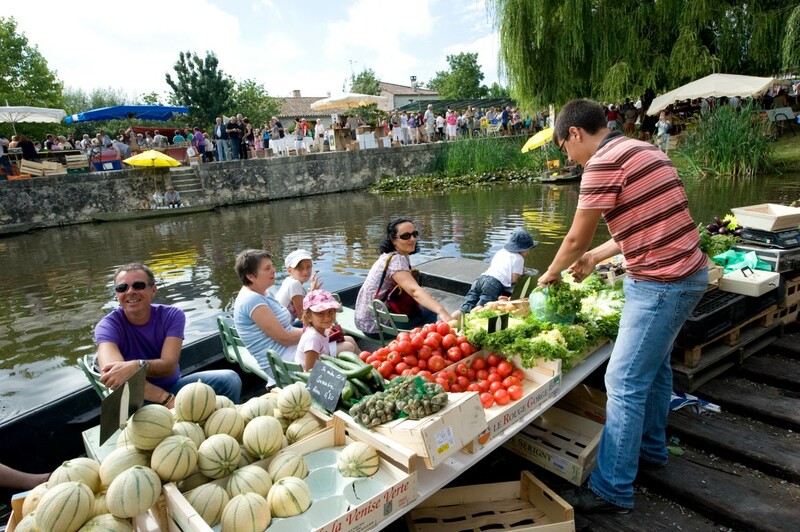 Once a year on the last Saturday in July the gastronomic delights of Poitou-Charentes go on sale in a floating market that takes place in Vanneau-Irleau in the Marais Poitevin.This attracts more than 15,000 visitors every year.Everything from ‘cheese tortoise’ to angelica, goats cheese to eels! A procession of highly decorated boats, mostly floral décor – fireworks, an exhibition of classic cars and music – at St.Maxire just once a year. Taking place in the port at Arçais, this sound and light festival held on the water is a glorification of the old days, with people in historical costumes, boats, fishing…. Entrance is 6 – 10 euros. Notes to Editors: With its equitable climate, Poitou-Charentes – the sunniest part of western France – is an area where you can enjoy many attractions. 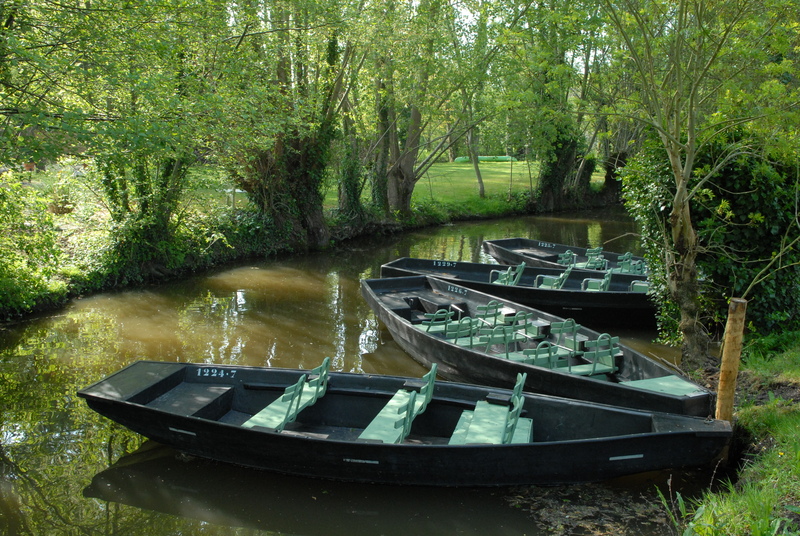 Visitors may enjoy for example the famous and unique Marais Poitevin, also known as Green Venice, which connects the Poitou and the Vendée; the historic port of La Rochelle with its fine restaurants and magnificent sites; Futuroscope – a theme park for the senses; Cognac and Poitiers, the city of spires. Poitou-Charentes is easily accessed by land, rail, air and sea for more information on getting to the region click here. This is the perfect family holiday destination with a wealth of well-run campsites, B&B’s, hotels and gîtes to choose from together with wide open spaces to enjoy activities which range from golf to water-sports. « The Channel Islands from £59 per person!